I was invited to Nairobi, Kenya, to attend a wedding and to visit the Masai Mara safari. When I booked my flights, I noticed the standard baggage allowance included two 23-kg. cases. I began research for my trip and unexpectedly come across the Pack for a Purpose website. Once I had seen the website, it seemed a no-brainer that I should use my extra baggage allowance to take educational goods and supplies to Kenya with me to donate to a suitable educational facility. The Pack for a Purpose website was an invaluable source of information. Without the website, I wouldn’t have felt comfortable asking for donations, shopping and travelling with goods without knowing exactly where I was delivering them to. The Pack for a Purpose website provided the name of the school and the exact list of goods desired. Once I had the list, I was able to set up a JustGiving page and raised £460. With the funds, I was able to purchase the full list of goods desired and filled the entire 23-kg. suitcase. 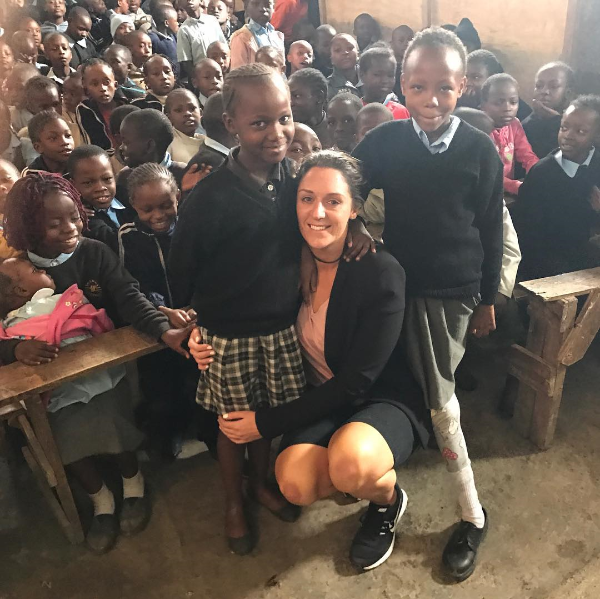 Prior to my departure to Kenya, I was contacted by an individual from the school who agreed to meet me on my arrival and take me to the school. The whole experience could not have been easier. I was collected in a taxi by an amazing gentleman and thoroughly enjoyed my time at the school. It was obvious on arrival that the goods would be put to great use. I arrived on the last day of the school year and was allowed to sit in the school’s assembly during which the teachers stood before the student body and praised them for their attendance and efforts. I was asked to speak and felt truly welcome. I answered some pupils’ questions and promised to attend again in the future. Travelling with the extra case was easy once I obtained a trolley at the airport, and there was no difficulty at airport security. It goes without saying that the experience was emotional and overwhelming and till now has been the most eye-opening and life-changing experiences of my life. I intend to do everything possible to continue to support the Joy House School and strongly suggest that others take advantage of the baggage allowance and the kind assistance of organisations such as Pack for a Purpose and do the same.